Home » Qui sommes-nous? » Blog » Facebook cashed in with $709m from AdBlock users, what are you doing about it? Facebook cashed in with $709m from AdBlock users, what are you doing about it? In Q3 2016, Facebook took a stand against Ad Blockers, and implemented an AdBlock circumvention system that allows them to show advertising to AdBlock users. Eyeo, the company behind AdBlock Plus (the most adopted AdBlock software) tried for a few months to fight back, but all of their attempts were quickly countered by Facebook. They recently outfoxed Facebook’s circumvention solution although they admitted “Facebook’s IT army will eventually outfox our outfoxing”. 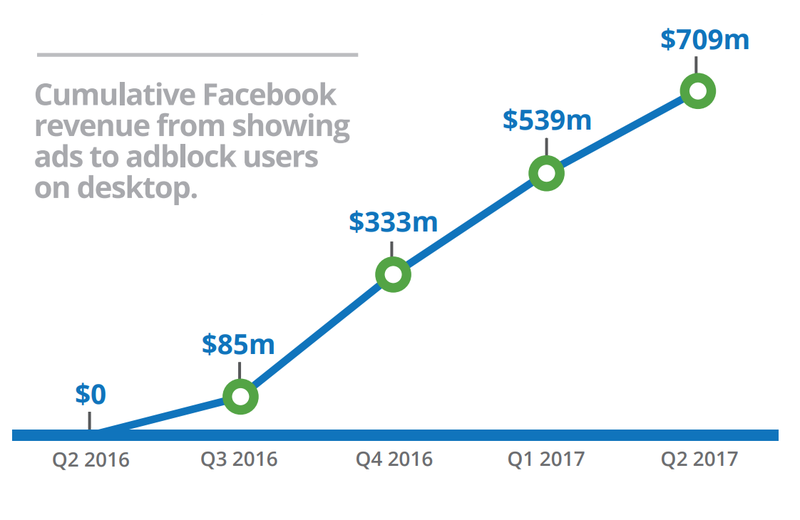 Since then, Facebook has generated an accumulated $709m from Desktop AdBlock users. In 2016, ExoClick released NeverBlock, its custom-built AdBlock circumvention tool, available for free to all of its publishers. The solution has been implemented on over 1,500 websites since its launch. 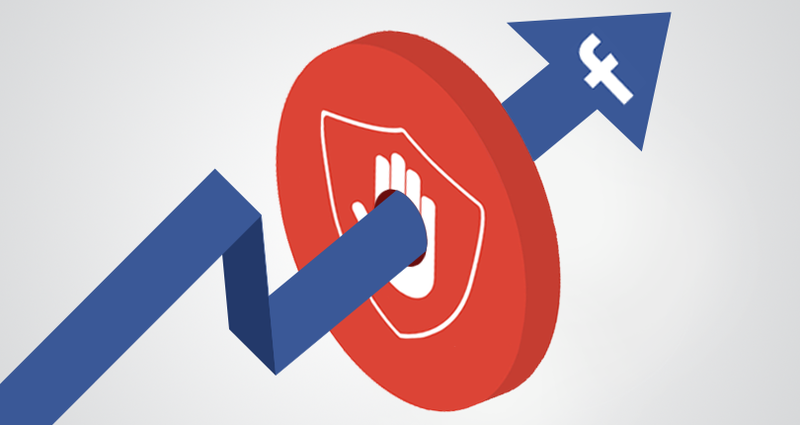 Both Google and Facebook agree that AdBlockers are not the solution, as they wipe out both the intrusive but also non-intrusive ads, without any form of discrimination. Even worse, Eyeo, the company behind the main AdBlocker charges a fee to ad companies to whitelist their ads, a method that has been called racketeering, extortion or even blackmail, by many publishers. Now of course, we should not forget why users install an AdBlocker in the first place, and while Google and Facebook have been working to show ads to AdBlock users, they are also pushing initiatives such as the Coalition for Better Ads or the IAB LEAN program, to improve the general user experience with online advertising and find the right balance to maintain a free Internet, with acceptable online advertising. 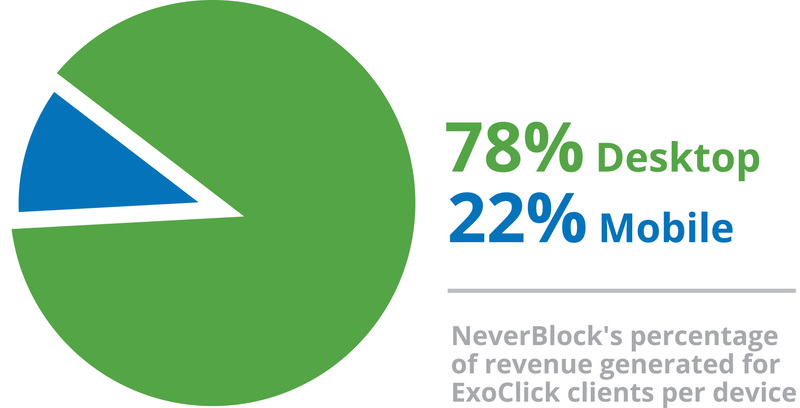 If you are a publisher and you are still not doing anything for your AdBlock users, email help@exoclick.com today to discuss AdBlock revenue opportunities and solutions with one of our experts.